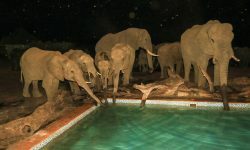 Remotely nestled away on a huge private concession in the northern part of Hwange National Park, Nehimba Lodge combines luxury living, ultimate elegance and African charm to provide you with an exceptional safari experience. 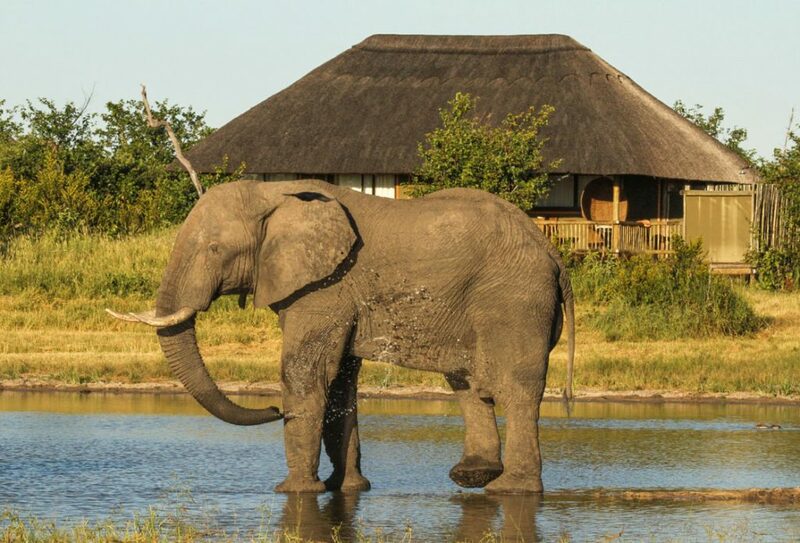 Our 9 spacious canvas under thatch tents are built on teak decks and along with the guest area, overlook the magnificent lodge pan, which is frequented by large numbers of elephants, particularly in the dry season. 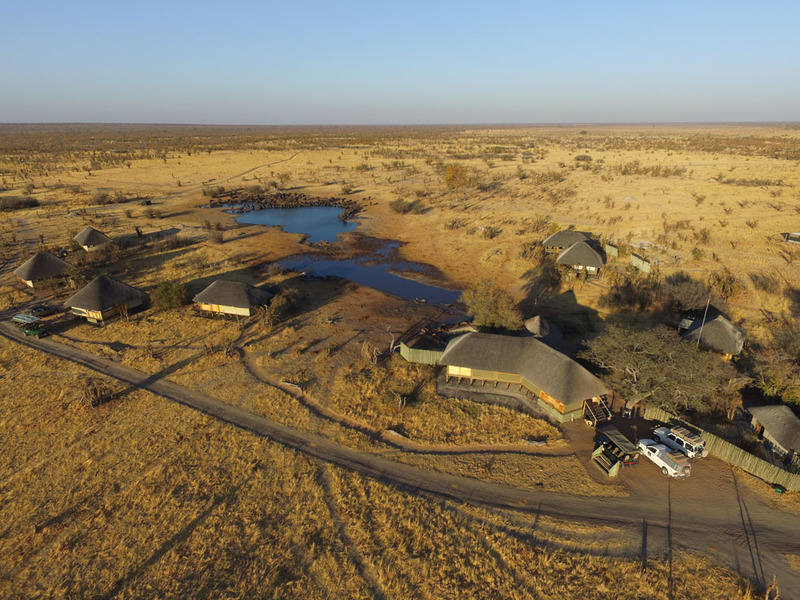 The Accommodation 2 family rooms with thatched roof overlooking the waterhole, 1 kingsize bed and 2 ¾ beds, fan, tea and coffee making facilities, electric safe, en suite bathroom and outdoor shower. 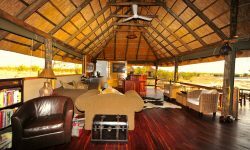 1 double room with a day bed with thatched roof overlooking waterhole, king size bed, fan, tea and coffee making facilities, electric safe, en suite bathroom and outdoor shower. 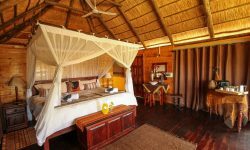 3 double rooms with thatched roof overlooking the waterhole, 1 kingsize bed, fan, tea and coffee making facilities, electric safe, en suite bathroom and outdoor shower. 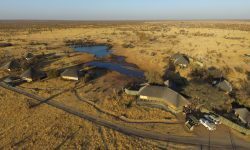 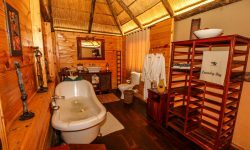 2 twin rooms with thatched roof overlooking the waterhole, 1 kingsize bed and 2 ¾ beds, fan, tea and coffee making facilities, electric safe, en suite bathroom and outdoor shower. 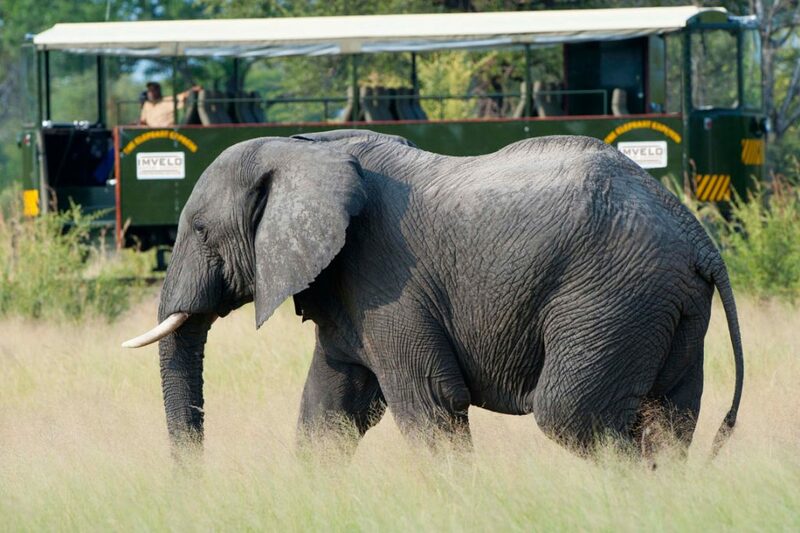 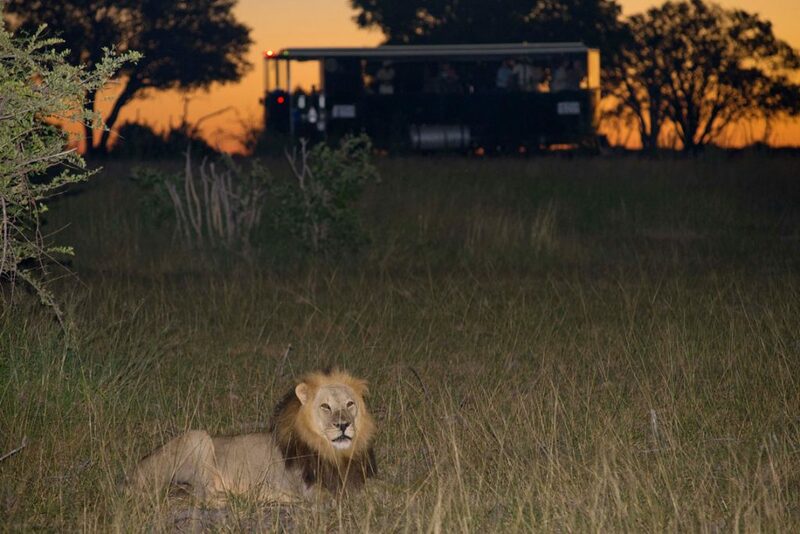 Night Game drives are conducted for those who would like to view Hwange in an entirely different light. 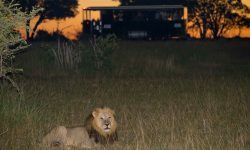 Game is viewed by filtered spot lights with the opportunity to see animals such as hyena, porcupine, leopard, civet, genet cats if you are lucky. 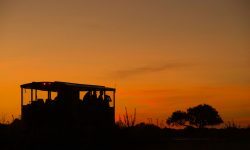 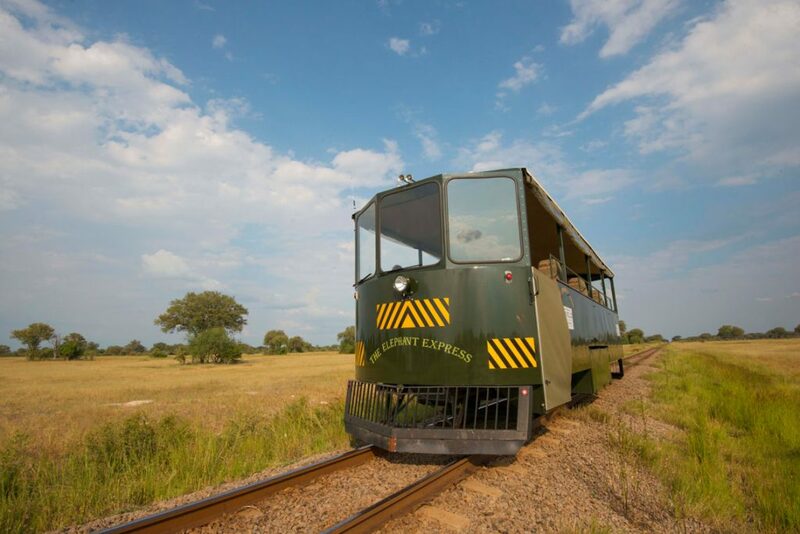 Situated close to camp, this platform is the perfect spot to marvel at the splendour of an African sunset which provides the perfect back drop to the abundance of wildlife that comes to drink at the day’s close. 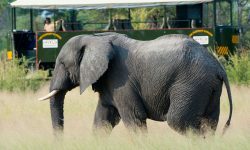 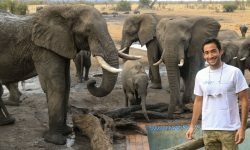 This is a special designated conservation area and is one of the few year-round, naturally occurring sources of surface water in the massive Hwange National Park. 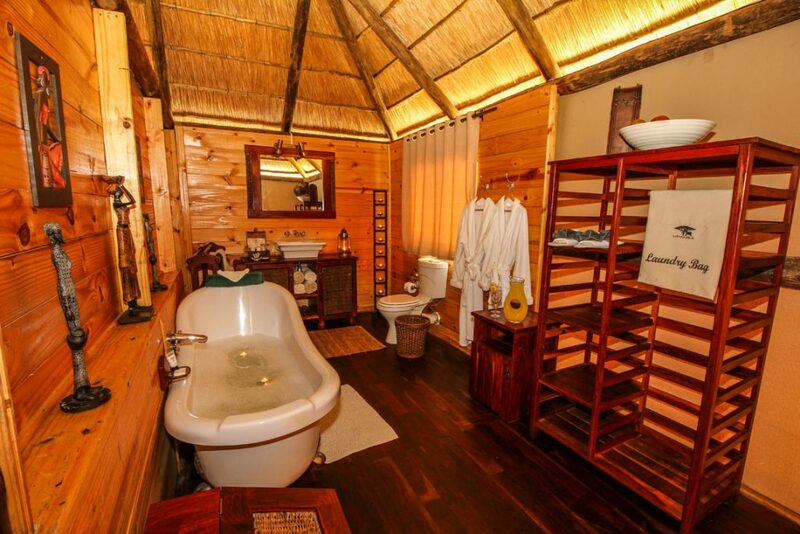 The seep is an ancient source of water that was once used by the San bushmen. 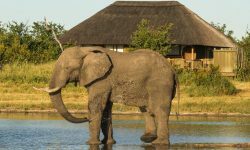 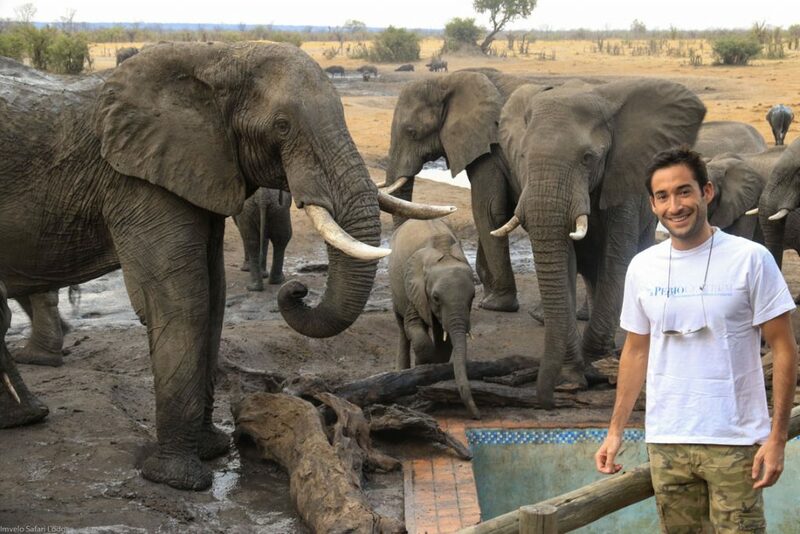 Today elephant visit the seep to dig for minerals and water. 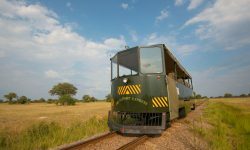 VISIT MANDAVU DAM Situated in a scenic and hilly spot 15 km from Sinamatella Camp, this dam is a wonderful spot for bird watching and game viewing. 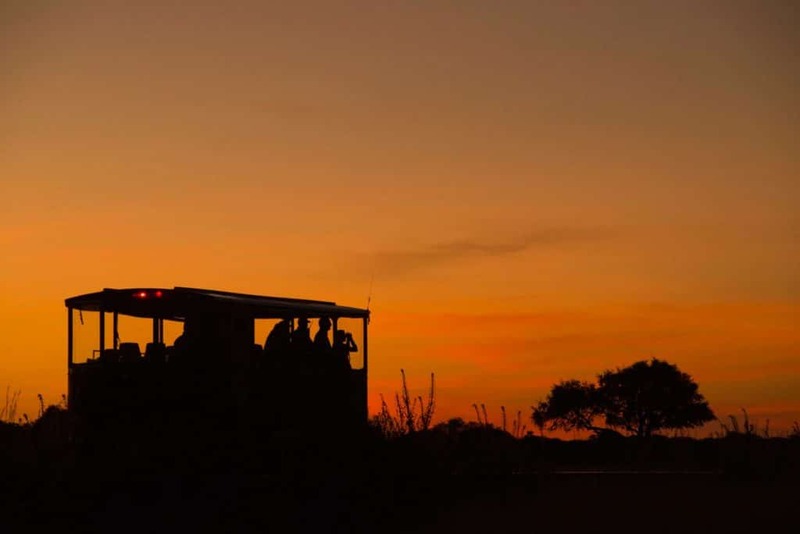 Take a leisurely drive to the dam in the morning and enjoy a picnic brunch on the dam’s edge, all the while enjoying the variety of life that visit this picturesque spot. 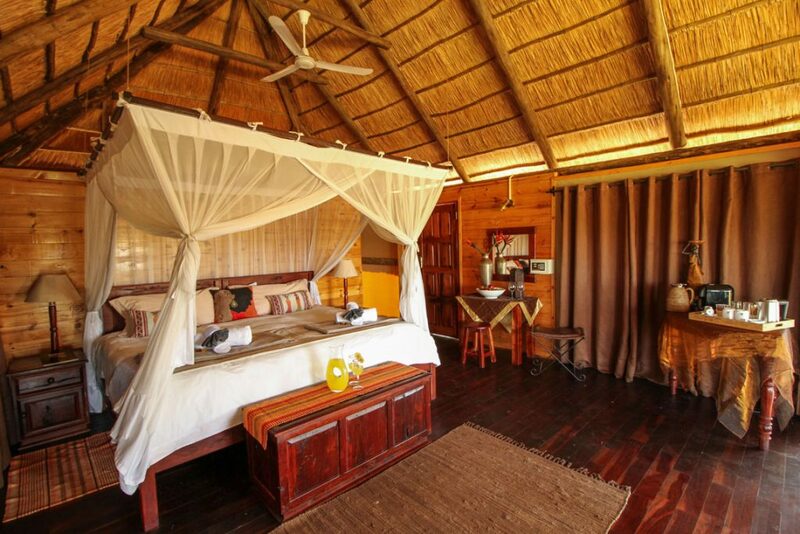 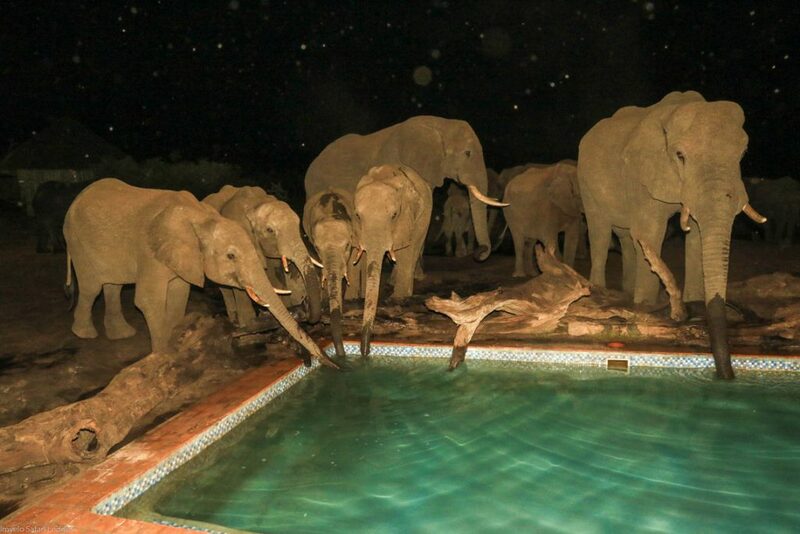 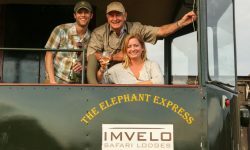 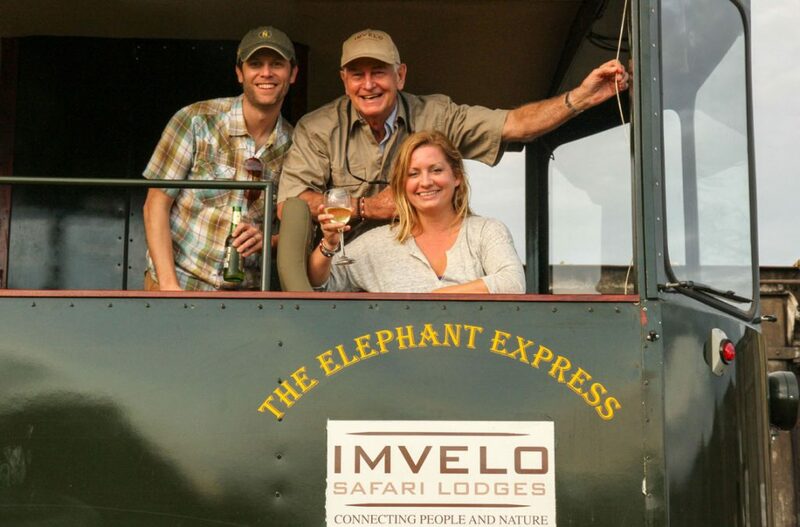 Nehimba Lodge is a seasonal lodge so please enquire with us before booking.